HomeThe BlogInternational VolunteeringVolunteering StoriesEVS Stories: This experience – by Roser S.
At the beginning, when I arrived in Baia Mare, I didn’t know anything about being a volunteer, I didn’t know that there where different projects in the same association and neither that this experience would be the best of my life. I arrived here on 12th of August 2018 being the first volunteer of all that had to come in my project. Since I’m here, I had the opportunity to meet incredible people from Italy, France, Malta, Portugal, Belarus, Turkey and Romania. At the beginning of the project the members of the association asked me “What are your expectations?”. Now I see that whatever you would answer to this question you will never imagine what this will mean to you at the end. With the time you see that all the volunteers are in the same situation as you and that’s why we understand each other and we have this special bond. They are my family here. With some of the volunteers I shared the same project (Rural Camps), which consists to plan and implement non-formal activities for children. My motivation has been growing, that’s why this project was close to what I was searching. I learned a lot from whom has been by my side and I hope I could leave a part of me here, in the same way that I will bring a big part forever from Romania to Catalonia with me. I wish to all the volunteers that will come on the future and to the volunteers that arrived less than a month ago to live this experience with the same intensity as I lived it. And to everyone who wants to live something similar, I encourage them to do it. I’m sure they won’t regret. Finally, I just have to say thank you to Team For Youth Association to make it possible, to the volunteers and to everybody who during 6 months, made me feel like in home. Roser Sanchez is a one of the volunteers who participate in the Rural Summer Camps project, hosted and coordinated by Team for Youth Association. 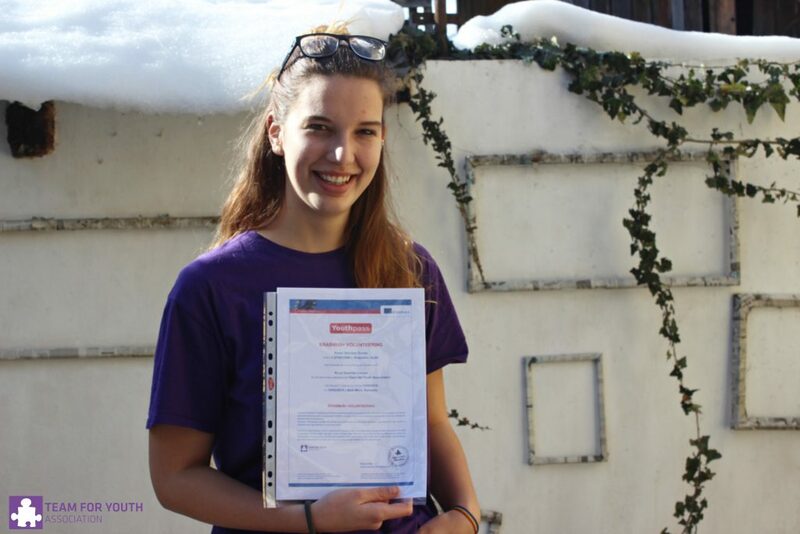 During 6 months, she and other 3 volunteers were working together in order to give to the kids from rural areas in Maramures the opportunity to learn and discover things through non-formal activities.